"Hello! 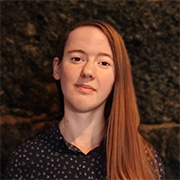 My name is Sarina, and I’m working on my PhD in Nuclear Physics at the University of Jyväskylä. Originally I’m from Brugge, Belgium, and joined ESN Leuven in 2013. I fell in love with the great atmosphere and spirit in the Network, and I haven’t left it since, being involved on both the Local, National and International level. I went to Jyväskylä in autumn 2014 for my Erasmus exchange, also joining the ESN board there. I liked JKL so much I came back the year after to start my PhD. So after 2 years as LR that brings me now here, ready to contribute to the National level." "Hey! 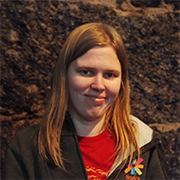 I’m Noora, a 25-year old English major student from Vaasa. 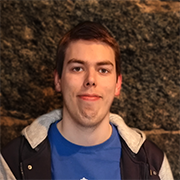 I joined ESN Vaasa in 2013, and after four years in the local level, I wanted to challenge myself by moving on to the national level. In addition to ESN taking most of my free time, my study time has also included two exchange semesters, in the Czech Republic and in China, which have only furthered my passion for traveling and getting to know new cultures. If you have any questions or thoughts, feel free to contact me anytime!" "Hello everyone! I'm Toni, a soon to be MSc in Biomedical Engineering of Aalto University and a future M.D. of University of Eastern Finland. 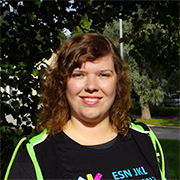 My ESN story began in 2013 in ESN Aalto as an active member. I was later inspired by the experience to take up a non-Erasmus exchange two years ago in Mumbai, India. I have learnt so much new and been tested by challenging experiences, both in ESN and outside of it. This is now my second mandate in the National Board. The first year was incredibly fun and rewarding, having built many new contacts. This year I will strive to resurrect ESN Finland's newsletter with international and national news. I'm also very hopeful that a new committee or two can be successfully set up, in order to improve the opportunities and quality of our sections with support structures." 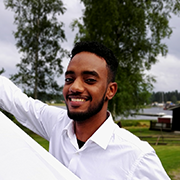 "Hello everyone, my name is Kingsley, I am studying general toxicology and environmental health risk assessment at the University of Eastern Finland. 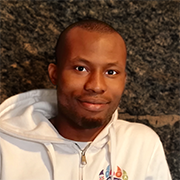 I have previously been a board member of ESN KISA as the sports coordinator and been active in various forms of events that has helped improved life of Erasmus students coming down to Kuopio." "Hey there! I'm Anna and I'm final year student of BSc. Mechanical Engineering in Saimaa University of Applied Sciences, lappeen Ranta (no, this is not the mistake, this is the way local teekkari write it). Originally I come from Russia, however I decided to change my life and use the chance to study in Finland and... Here am I, travelling Europe for Erasmus+, internship, ESN or just for fun! After almost two years in Local level, from ordinary active member to President, and one mandate in NEvCo, I realised that I can make a change on the National level as well, or at least contribute all my knowledge for making ESN Finland even better :) And I failed to leave Finland (or Finland fails to leave me, as people noticed that I started having Finnish accent in English and my mother tongue)"
As my name suggests, my name is Hassan. So greetings, y'all. I'm a person who likes to (brace yourselves, cheesy classics incoming!) travel the world, meet new people, get to know other cultures, and try out different dishes all the time! In reality though, I try to do the aforementioned luxuries only when my budget and time permit. I like to pretend that I speak every language on earth, and I'm starting to believe that I actually do. I'm currently finishing a Master's degree in Information Systems Science + Entrepreneurship. In my professional life, I aspire to create the next big thing in technology and to bring people from each side of the pond together to create magic, hence my position as Partnership Manager. My ESN journey started with my home section ESN Uni Turku, which has been and will always be my inspiration to continue giving for ESN. #NeverForgetYourRoots. I hope to keep ESN Finland as a healthy and attractive partner by ensuring mutual benefits for both our partners and the wider ESN network. How? By understanding people. It's that simple.